Well crap. I found another food rabbit hole I could see myself going down. Or maybe I should say another sensory rabbit hole–I did a perfume smelling recently that was so similar to wine tasting that I would have left intoxicated even if my friends had not poured a round of port to keep our mouths occupied whilst our noses did the heavy lifting. But perfume is a rabbit hole for another blog. I wanted to learn of tea. Actually that’s not true. I hadn’t thought much about tea then Teavana was all “come play with teas with us” and I all like “totes!” Except you know that is sort of a lie because I would never say totes in a non-ironic sense of the word. I just said “yes”. 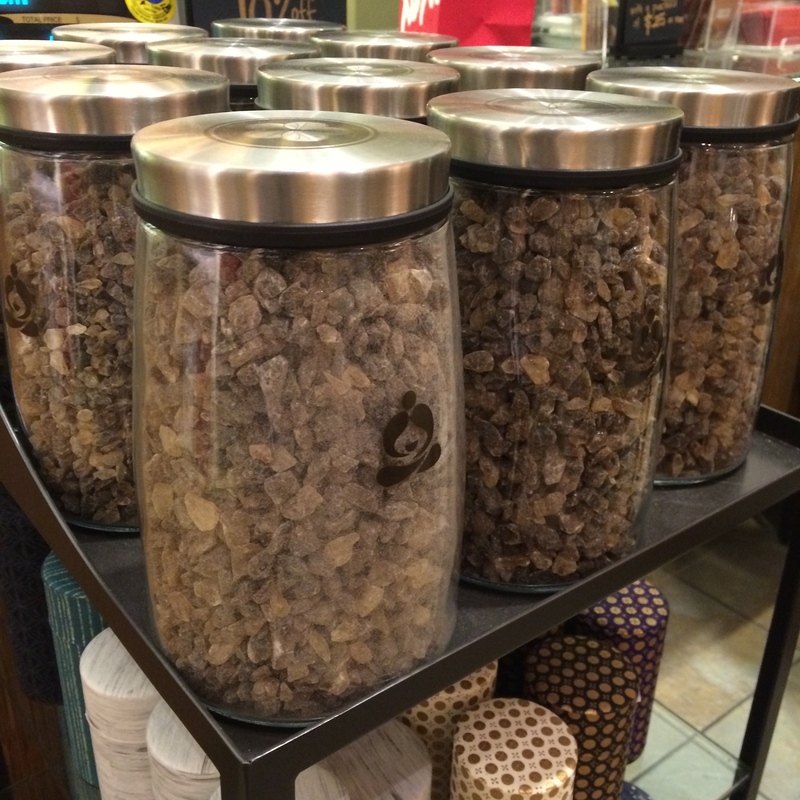 Let’s start with the Teavana wrongs: so corporate. 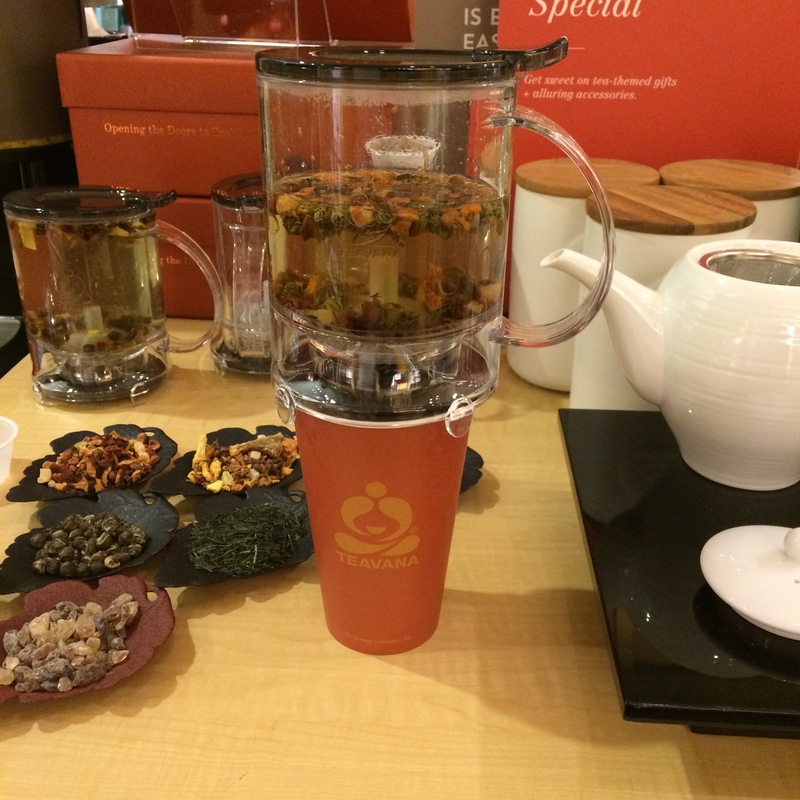 What Teavana gets right: The passion of the people making tea there. The pure rock sugar crystals they gave me to add to my ever-growing sugar collection (I’ve got nine types of sugar now). The really uber-cool tea brewer thingamajig where you load sweetener and tea in and let er’ rip then set the sucker down on top of your cup and like magic it drains out the bottom into the vessel you will bear to your thirsty lips. And then the tea blends. They are pure products. I was tempted to actually snack on some such as the citrus lavender sage blend. Hunks of dried fruit in an herbal and mildly herbal blend? Yes please. Another snack tea was the (unfortunately) excellent peppermint white chocolate blend. Unfortunate because I would sooooo turn up my nose at it if it didn’t smell like heaven and make as good an ice cream topping dry as it does steeped in to tea submission. They have a good thing going there. A whole wall full of flavors that can be mixed and matched and sniffed and swirled. It was like wine tasting but I didn’t need a designated driver. Funtimes! Happy! Come fetch my tipsy arse and take me home dear driver! Steep for about 45 minutes then strain. You’ll know the time is right when the gin is pink. Shake all but the extra tea with ice. Strain into chilled glasses. Sprinkle on some dry tea. THE LATEST. Because I cannot help but be puny. And some people have two cherries. Stir bourbon, vermouth and bitters over ice. Strain into chilled coupes and add cherries. Behold. Enjoy. I hope. You’ll learn to make an adult beverage! 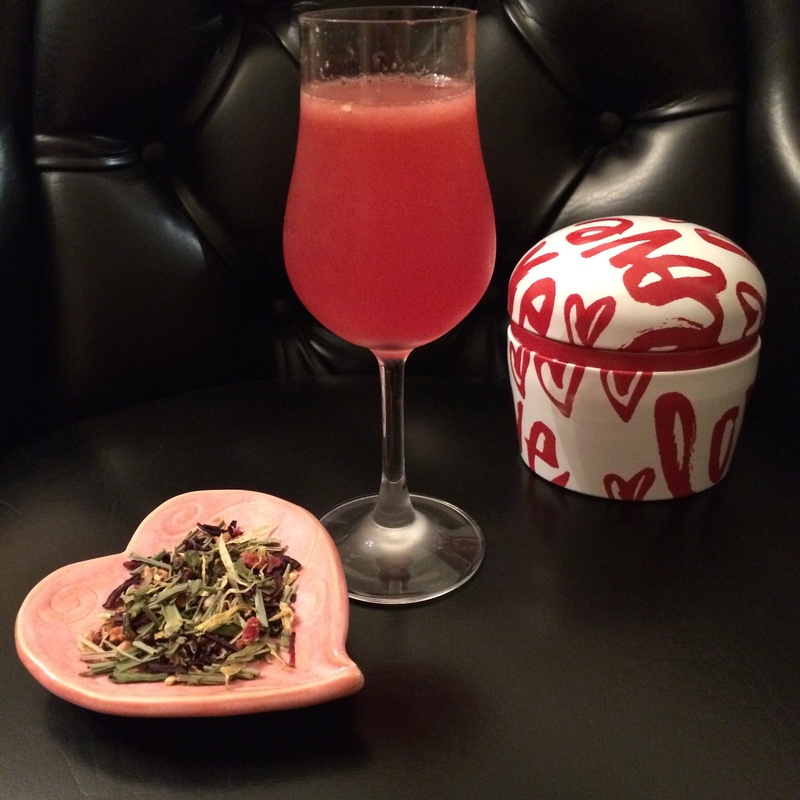 If you did enjoy, then make the drink I teach how to make. If you didn’t ditto. Stir over ice and strain into a chilled coupe. Garnish with frozen grapes.